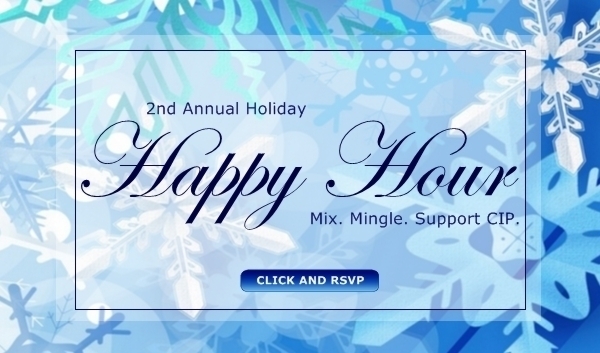 Thursday, December 9, 2010 at 5pm, GenPhilly presented our 2nd Annual Holiday Happy Hour Charity Drive to support Center in the Park’s (CIP) homebound older adults. The event was hosted at Manayunk Brewery & Restaurant located at 4120 Main Street, Philadelphia, PA.
At this free event, guests had the opportunity to mingle with like-minded professionals, enjoy great drink specials, and bring joy to isolated older adults this holiday! Each guest was urged to bring a necessity item as a donation. Suggested items included standard sized bath and body products, flashlights, batteries, towels, blankets, etc. To the right, is a the donations (including the items donated during GenPhilly’s Happy Hour) that (CIP) received for their Giving Tree Charity Drive. CIP was able to give out more than 50 bags of necessity items to isolated seniors. Items donated during GenPhilly’s Holiday Happy Hour: blankets, laundry detergent, Q-tips, bodywash, lotion, liquid soap, bar soap, shampoo, loofah, toothpaste, deodorant, toothbrush, batteries, towels, etc. Center in the Park is a non-profit community center in Northwest Philadelphia primarily focused on the needs of older people. The Center fosters respect, independence, and personal growth for each individual. As a community resource, it provides access to supportive services and activities. For additional information, visit CenterInThePark.org.